House-hunters looking to escape the norm and reside in a unique, historical property are being given the chance to take a leap of faith with a stunning church conversation. Built in 1849, The Old Free Church has been converted to the highest of standards and the spacious and stylish property is in full, walk in condition. The careful renovation of the property – situated in a scenic location close to the centre of Ardgay, a tranquil village some 14 miles south west of Dornoch in the Highlands – has preserved many of its original features. The rare three-bedroom B-listed property is set across two storeys is currently on the market with Inverness-based Estate Agents and Surveyors Bell Ingram, for a guide price of £275,000. 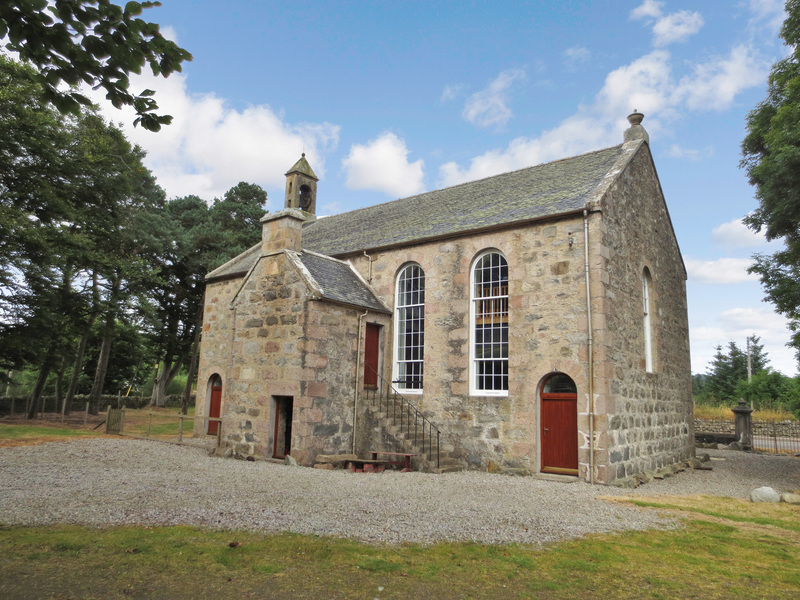 Joanne Stennett, of Bell Ingram in Inverness, said: “The Old Free Church is a stunning, one-of-a-kind property that would be the perfect purchase for any house-hunter seeking a home with a difference. “Unlike many former church buildings, which would often require extensive renovation, this property has been modernised and upgraded to a very high standard while still maintaining its period and historic charm. “It is a spacious, rural property, with three bedrooms and large reception rooms, making it ideal as a family home. It also boasts a host of features offering warmth and comfort, including full double glazing as well as underfloor heating throughout. “While Ardgay itself may be small, it is a thriving village close to Inverness with a great sense of community spirit and easy access to a wide range of local amenities – and that just adds to the whole attractive package. Outdoor and sports enthusiasts are also likely to love what Ardgay and the Dornoch Firth offers, as an excellent base for walking, stalking, fishing and golfing. The Old Free Church comprises a kitchen, dining room, bathroom and two bedrooms on the ground floor, with a living room, master bedroom with ensuite shower room, second bathroom and office on the first floor. The property sits in a large garden and boasts ample parking. There is also an external store which sits to the front of the property, which offers a good sized, sheltered storage space. Ardgay is 36 miles north of Inverness and approximately 14 miles south west of Dornoch, on the east coast of the Highlands. The village has its own primary school, as well as a local shop and garage, church and village hall. Nearby Bonar Bridge, which is in easy walking distance, provides a number of shops, a post office, a hotel and a restaurant. Viewings are strictly by appointment only and can be arranged through Bell Ingram’s Inverness office on 01463 717799.